Making last minutes card for some of my colleagues in conjunction of tomorrow Administrative Professionals' Day. This week, Lawnscaping Challenge 104 is on sketch! Yay! I always get inspired by sketch and I actually love playing with Lawnscaping Challenge too but just time is not so conveniently for me to play along. 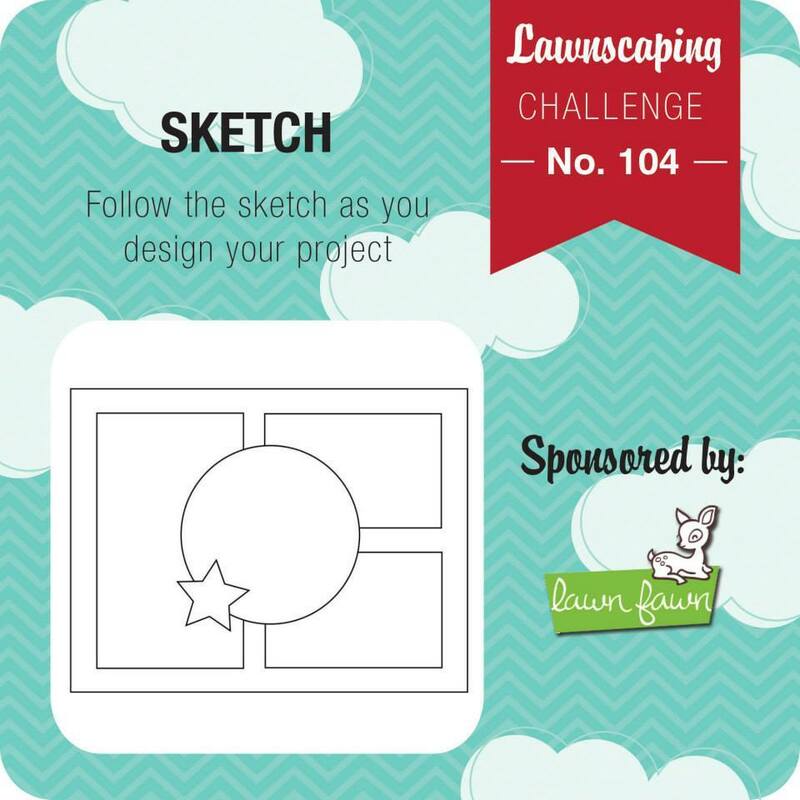 As time is crucial here, Lawnscaping Challenge 104 sketch is just perfect to save me! I rotated the sketch 180 degree clockwise so that I can accommodate the butterfly as in the sketch. I started by stamping the flower and butterfly onto white stock and colored them using Copic markers. Then, they are trimmed accordingly which reminds me I could use the Lawn Cuts Flutter By that release last December 2014 for rush time like this! On a pink card base, some pastel polka dots pattern papers that has been trimmed according to sizes as in the sketch are attached. Before attaching the flower on to the card base, partial of the butterfly is stamped onto the flower. Then, the flower is attached on the card base. The butterfly is attached onto the flower using foam tapes so there is dimension. Finally, the sentiment is stamped onto the right bottom rectangular polka dots pattern paper. Great color choices and the popped butterfly is very eye-catching! Thanks for sharing with us at Loves Rubberstampsnthis week, good luck to you! So pretty! Love the butterfly and flower as the focal point! Lovely colors and a versatile card. Thank you for joining us at Love To Scrap. Very pretty card! I love the pattern paper you used! Thanks for playing the Lawnscaping Challenge! Thanks for playing with us at Party Time Tuesdays.